Colorado drivers appear to be having an easier time traveling the state’s highways thanks to improvement projects on express-lane corridors. 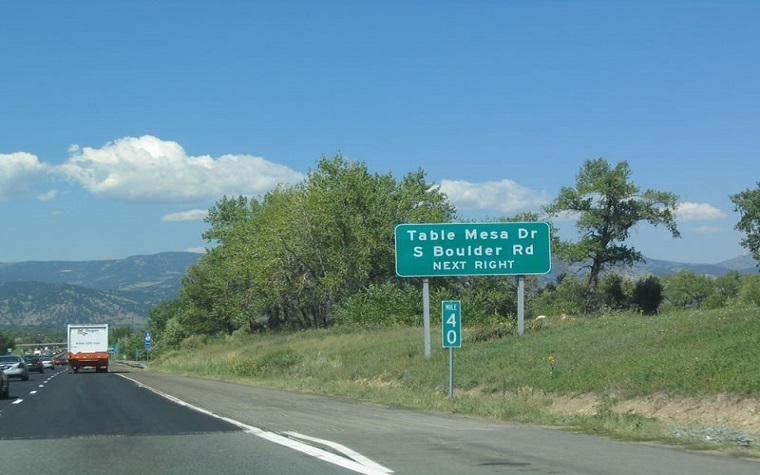 Crews from the Colorado Department of Transportation (CDOT) and High Performance Transportation Enterprise (HPTE) have been working since last summer to get express lanes up and running on U.S. 36, the I-70 Mountain corridor and North I-25. Express lanes are for bikers, carpools, mass-transit passengers and toll-paying drivers. The express lane on I-70 Mountain opened last December. It is 13 miles long and runs east from Empire through Idaho Springs. Data shows traffic has been moving better on this stretch of I-70 since the implementation of the express lane: travel times over the Martin Luther King Day holiday weekend were down an average of six minutes (26 percent) at 4 p.m. from 2015. Travel time on the stretch after 7:30 p.m. was down as much as 52 percent. Last July, the first phase of a project to implement express lanes from Louisville to Federal Boulevard – which included personnel from CDOT, HPTE and private-sector project partner Plenary Roads Denver – began. At the same time, CDOT put in place the switchable HOV transponder to give drivers carpool or toll options. To date, this has saved drivers nearly $1.3 million in tolls. The project also includes a diverging diamond interchange at Superior-Louisville and new roads and bridges. These improvements are causing significant reductions in drive time. In 2011, speeds on this stretch of highway averaged 35 mph at 7:40 a.m. Last year, the average was 45 mph. Speeds on that section in 2011 at 6 p.m. averaged 50 mph. Last year, they averaged 60 mph. Toll collection on U.S. 36 from Table Mesa to Superior-Louisville began March 30. Express lanes on northbound I-25 were opened earlier this month; drivers will not have to pay tolls yet, as CDOT and HPTE are allowing for a testing period. To learn more about the new express lanes planned for or newly implemented throughout Colorado, log on to www.expresstoll.com.